However, in this imperfect world of tightened travel budgets, busy schedules, deadlines, traffic jams and geographically dispersed offices, telephone conferences are proven time and money savers. 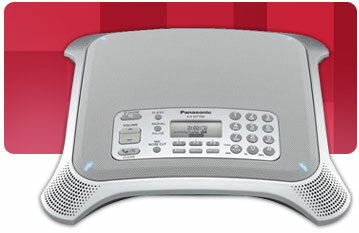 Now you can be sure you’ll get the most out of your conferences with the Panasonic KX-NT700 IP Conference Phone. It’s the next best thing to meeting in person. KX-NT700 is an advanced conferencing solution that can connect over standard office data network or even broadband connections. This Multi-party IP Conference Phone Supports Hi-Definition sound, web based conference solutions and everything to make communications as simple as a face-face meeting. it even connects with standard office telephone systems for seamless inter-working. KX-NT700- A valuable asset to help you collaborate- across your board rooms, or around the globe.